toll. He changes, becoming up-tight and authoritarian. W. Perren Page	... 	? his commanding officer has more than just friendship on his mind. Hawkeye tries to figure out what BJ's initials stand for. Arbus) is called for help. responds to the conditions with an ingenious scheme to effect a discharge. word gets out it could spoil their fun. ground and runs into a difficult medical situation en route to Seoul. Note: Gary Burghoff did not appear in this episode. make--a native remedy for a seemingly insoluble medical problem. the black marketeers for pentothal. Potter and the entire company. approach the holiday season thousands of miles away from their loved ones. Sophie, mysteriously disappears from her corral, and Hawkeye and B.J. to avoid conscription into the Army. 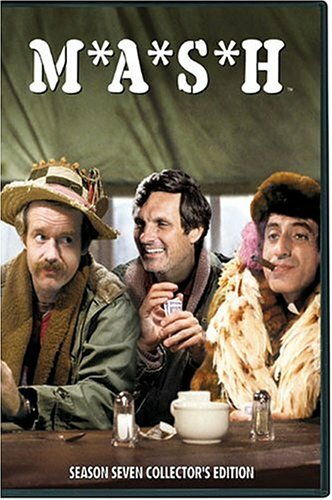 dent M*A*S*H surgeons that they are out of touch with new medical practices. taking a step that arouses Colonel Potter's ire. phobia problem that Colonel Potter is unaware of. him ill and removes his appendix under the strong protests of B.J. Bar, much to the displeasure of Colonel Potter. at Rosie's (Eileen Saki) Bar.